Splined Taper Master Plug Gauges (TMP) are taper tooth master plugs with fit and wear lines. 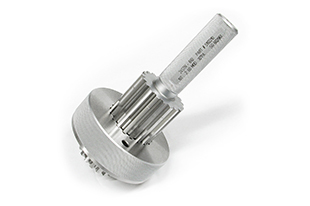 Taper Master Plug Gauges are used to monitor the wear of Ring Gauges during component manufacture. Spline also have the capabilities to produce Straight or Helical splined Taper Master Plug Gauges. For additional Information on any of our products please feel free to contact a member of our team using the links provided in the contact us section.